The Spotted Tongue: 100 things: #22: Shake off! 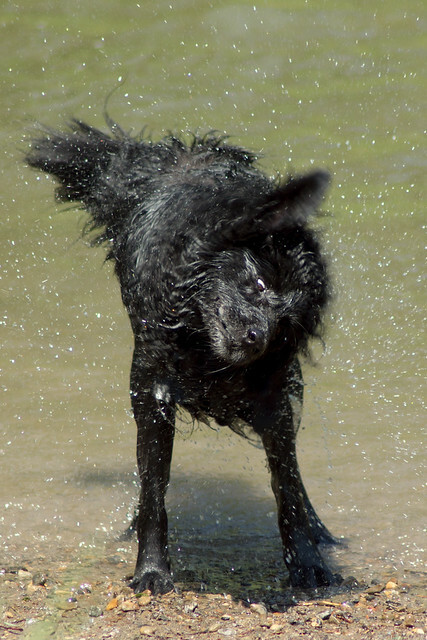 I love photos of dogs shaking off and last year I got a few decent ones of Dahlia. This time I kept looking for an opportunity and finally, at the very end of our visit to the local off leash area, she gave me that opportunity. I took several photos, but this one was my favourite of the group.